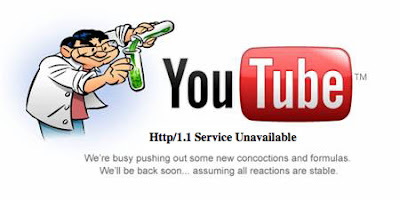 Having troubles accessing You Tube? Well, you're not the only one, as the site is apparently down for unexpected maintenance, with the only message being: "Http/1.1 Service Unavailable". Some data centers do appear to be functioning however, since some pages do load intermittently. Fortunately, other video sites are still working, so we've embedded an interesting "drunk pilot" routine after the break.